Manhattan’s Fashion Institute of Technology (FIT) isn’t the first place you’d expect to find a skeptics conference. Deep in the heart of Chelsea, attendees of the eighth annual Northeast Conference on Science and Skepticism (NECSS, pronounced “nexus”) had to brave their way past infamously anti-GMO Chipotle; an organic, grass-fed burger joint; and an empty building boasting $5 psychic readings before arriving at the hub of rationality. But as Twitter user Marc McDonald noted, maybe it wasn’t the skeptics who needed to be nervous. Fashion faux pas aside, FIT and NECSS have made strangely great partners over the past four years, when the conference cosponsored by the New York City Skeptics and the New England Skeptical Society, home to the Novella clan of Skeptics Guide to the Universe fame, outgrew its former digs. Between 400 and 500 people converge here every spring, with travelers from thirty states and ten different countries arriving for the weekend fittingly starting on Friday the 13th of May 2016. Not all those people come to NECSS for the same reasons. Cathy Smith, a hospital pharmacist from Michigan, couldn’t resist the Friday schedule. “I saw a whole day of science-based medicine, and it was like, ‘Oh, I gotta do that,’” she said. Smith convinced her husband to make NECSS their one conference trip this year, but the lure of the Statue of Liberty, the American Museum of Natural History, and The Book of Mormon probably minimized the arm-twisting. The Science-Based Medicine blog began in 2008, with a mission statement of scientifically examining medical and health topics of interest to the public. Regular contributors include Skeptical Inquirer writers Steven Novella and Harriet Hall, as well as recent additions such as dentist Grant Ritchey and pediatrician Clay Jones. The newcomers had perhaps the most engaging talks on this Friday the 13th, discussing the howlingly outrageous topic of “cranial osteopathy” (the dental manipulation of skeletal bones!) and the maddeningly angering idea of baby chiropractic. Many of the alternative medical practices addressed were lesser-known quackeries, including “functional medicine,” as presented by Harriet Hall, and “magnetic protocol therapy,” used to treat the fictional ailment of chronic Lyme disease, described by Saul Hymes. Throughout the seven talks it became apparent that all these procedures share at least a couple traits in common—they claim to cure everything, the very everything you’ll be convinced you have after a battery of unnecessary and misinterpreted tests. Hrab took the stage again the following night, along with the Skeptics Guide Rogues and Bill Nye “The Science Guy,” for a repeat performance of the previous year’s Skeptical Extravaganza of Special Significance. “Repeat” probably isn’t the right word, though, considering almost the entire show is improvised. 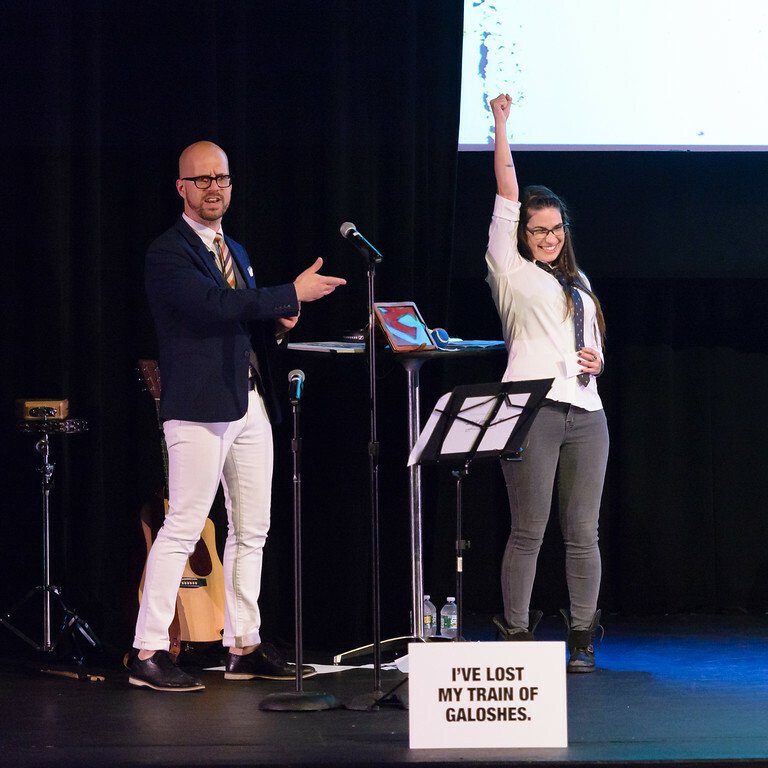 Hrab and crew debuted the new game of “Non Sequitur,” which eventually led newest SGU cast member Cara Santa Maria to yell, “I’m the galactic mayor of Poopy Town!” The Extravaganza also brought back the fan-favorite “Freeze Frame,” with a static scene from Back to the Future portrayed with Nye in the Doc Brown role. The presence of that Science Guy was a big incentive for recent University of Maryland graduate Ben Nichols to take the six-hour trip to NECSS in 90 degree heat. “Yesterday morning I had a nineteen-page final, and an hour after that I got on a bus,” Nichols said. As a newly minted aerospace engineer, Nichols appreciates the “science” part of the NECSS acronym and was especially excited to hear from Jennifer Lopez of the Center for the Advancement of Science in Space, which manages the laboratory on the International Space Station. 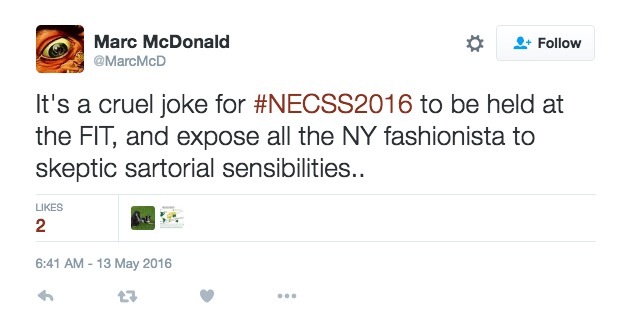 But the real reason Nichols came to his third NECSS is more personal. “The thing that really keeps me coming back is all the people that I’ve met,” Nichols said. One name that wasn’t spoken often by speakers or attendees was that of Richard Dawkins. The executive committee of NECSS created a firestorm when they withdrew their speaking invitation to the evolutionary biologist and science communicator after Dawkins retweeted a video that many found offensive, only to reinvite him shortly before Dawkins suffered a stroke. Swiss was candid about the situation while introducing a panel on Sunday called “Free Speech, Social Justice, and Political Correctness” that featured neuroscientist Heather Berlin, Will Creeley of the Foundation of Individual Rights in Education, linguist John McWhorter, Julia Galef of the Rationally Speaking podcast, and SciBabe Yvette d’Entremont. Moderator Brian Wecht started by trying to define the contentious terms, to which Berlin said she considers social justice to simply be “equality among all people,” a stark contrast to the pejorative manner in which the term is sometimes used. D’Entremont preferred to shy away from labels, saying the word feminist conjures up meanings that aren’t always intended. “Maybe I just want equal pay” she said. Creeley said rather than shut them down, it’s important to talk to the person you disagree with the most, and McWhorter continued that the person probably isn’t crazy but had a logical thought process to arrive at their stance, however flawed that logic might be. As diplomatic as Swiss was introducing what looked ahead of time to be the most controversial segment of NECSS 2016, he was much less so following the surprise pot-stirrer of the weekend, letting out a forceful “Oops!” as science journalist John Horgan left the stage to a smattering of confused applause. Horgan, perhaps best known for his 1996 book The End of Science, used his spot as the final speaker of the weekend to ask skeptics to stop picking on “soft targets,” such as homeopathy and Bigfoot, and to focus their attention on bigger issues such as untestable theories of physics and the nature of war. Swiss deftly thought on his feet and countered Horgan’s old argument. It’s not that skeptics aren’t interested in those things or don’t occasionally think and talk about them, but we are uniquely qualified to deal with all that other nonsense, Swiss said. In fact, it’s why the skeptics’ movement was founded—to tackle the issues people think important but that mainstream science considers too ridiculous to bother with. Homeopathy may be a “soft target,” but it’s something that takes millions of dollars from people while giving nothing back. Maybe when homeopathy belief comes down to under 10 percent of the population, we can give it a rest, Swiss said. Until then, there’s still work to be done. 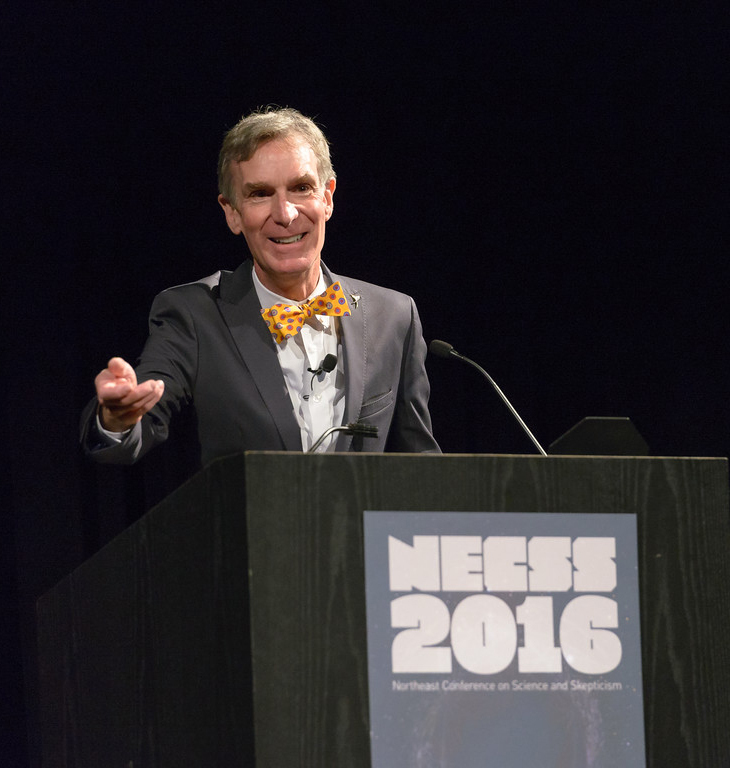 And NECSS will return in 2017 to help continue that work.